Libyans headed to the ballot boxes to elect a new parliament and a new leader Wednesday in a bid to find a way out of the crisis that’s tightening its grip on the country since the fall of Muammar Gaddafi three years ago. Two hours before the vote end, the election commission said that less than a third of voters visited the polling stations. 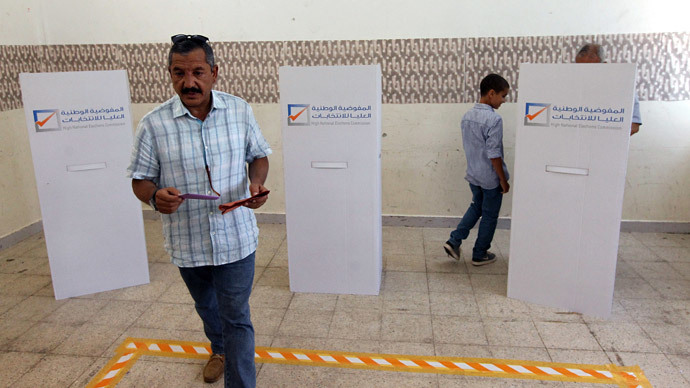 Just over 400,000 people cast ballot, while some 1.5 million Libyans of the country's 6 million people were registered to vote. Officials had hoped for a big turnout to give a mandate for state building in the oil producer, hit by growing turmoil three years after the ousting of Muammar Gaddafi. The new parliament will include 200 seats from among 1,628 candidates, but will be called the House of Representatives, replacing the current General National Congress (GNC). Heavily-armed jihadist militias and gangsters have taken over the streets and the local residents are afraid that they will soon run out of fuel and plunge into sheer anarchy. At least 70 people have been killed and 141 injured in Benghazi clashes between Islamist militias and army troops loyal to rogue General Khalifa Haftar. “Post-Gaddafi Libya today is in a chaotic and violent state without political stabilization, without internal security for its people, without security on its border,” Professor Yehudit Ronen from Bar Ilan University, Israel, told RT. "For fear of robbery or other attacks, many gas stations choose to close even though they have an abundant supply and so people start to doubt if there is a stable supply of oil,” says Samir S. Kamal, Director of Planning, Ministry of Oil and Gas. “Then there are long lines in front of gas stations." Since Gaddafi’s ouster in 2011, the country’s parliament has been split by rivalries, with few democratic reforms made since 2011. The latest PM, Ahmed Maiteeq, resigned after the country’s Supreme Court said his elections was illegal on June 9. His predecessor Abdullah al-Thinni resigned in April following an attack by gunmen on his family just one month into his term. The prime minister before that, Ali Zeidan, escaped the country after being fired because he was unable to stop rebels from capturing oil fields. Whoever is chosen at Wednesday’s elections will rule the country for at least two years. Fearing further escalation of crisis, many Libyans turn to General Khalifa Haftar, believing him to be their savior. However, Haftar - sometimes called by militant groups the new Gaddafi and an “agent of American intelligence” – has proven to be quite a controversial figure. 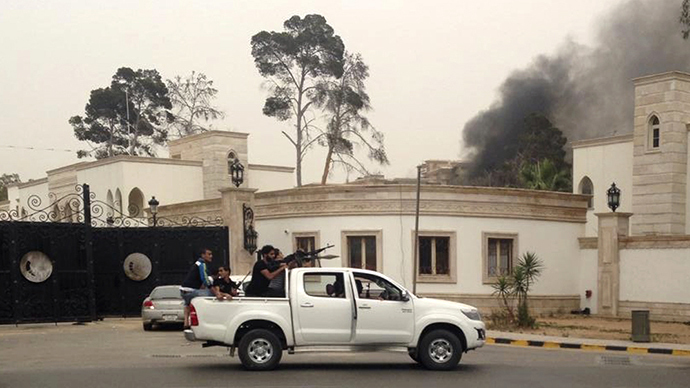 In May, armed gunmen loyal to the rogue general attacked Libya’s parliament, announcing its suspension. They claimed to be purging the nation of Islamist militias while authorities accuse them of staging a coup. Two people were killed and 55 others injured in the clashes. Haftar spent decades in the US before returning to Libya in 2011 to join rebels fighting the regime of then-President Gaddafi. According to DEBKAfile website, which cited military and intelligence sources, Haftar’s militia is backed by the US, whose support is alleged to include providing those forces with funds, intelligence and even weapons. However, the US Department of State distanced itself from the allegations, saying that it hasn’t communicated with the senior military official. Meanwhile, Libyan authorities do not welcome US interference in their sovereignty. 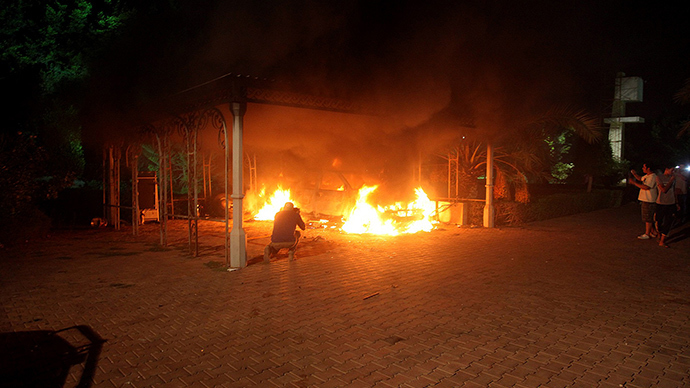 Since the capture of Ahmed Abu Khattala on June 17, the suspected ringleader behind the 2012 attacks on the American consulate in Benghazi, the Libyan government has criticized the United States for the raid and demanded the suspect’s return. “America came in and kidnapped a person such as Ahmed Abu Khattala. We might have different opinions about him, but this is a Libyan citizen, no matter who he is. 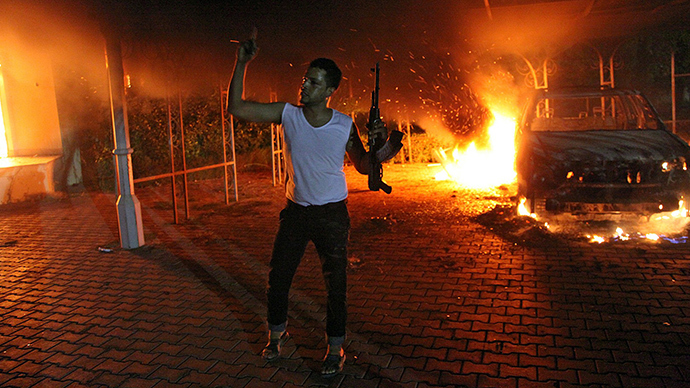 They came in and kidnapped someone from Benghazi,” Mohamed Fargani, a Libyan resident, told RT. In the meantime, experts predict disturbing future for the region, saying there are many dangerous signs of revolution at the moment. “There are definite symptoms in Libya that could result in civil conflict, conflict amongst tribes, amongst various militias, amongst various cities. It’s a conflict mainly over financial assets,” says Anas El Gomati, founder and director of Sadeq Institute, a non-governmental think tank based in Libya.